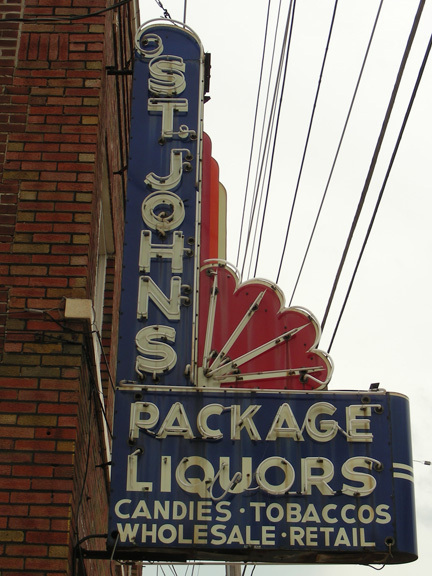 description: Two-side, outdoor, porcelain and neon building sign made for St. John's Package Liquors. An attention getting, mechanically operated, four stroke atomic burst was a unique feature for this large sign. information: From the original St. John's located at South Florissant and Suburban, in Ferguson. This sign is currently in storage waiting restoration.